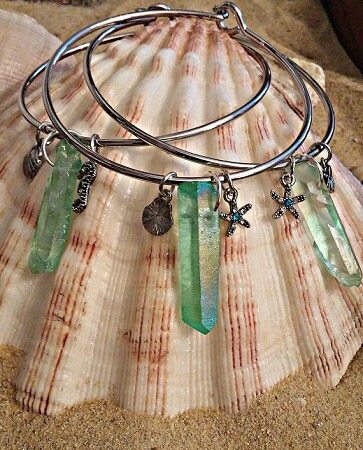 ~ Our “mermaid tail” bracelet creations are inspired by the Sirens of the Caribbean! We use titanium quartz and a stainless steel hook & eye, hoop bracelet to represent the blue/green of the Caribbean and the shimmer of the sea! ~ Sea foam blue/green titanium quartz crystal (1″ – 1 1/4″ long) glimmer in the summer sun. Titanium Quartz: quartz is infused with titanium and additional metal oxides to form one of the most precious crystals on the planet. 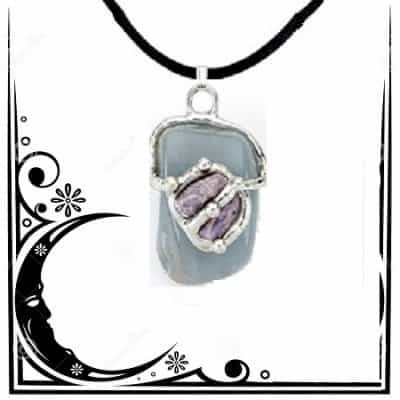 It increases life force and vitality, attuning to the highest attribute of the Heart, Throat and Crown Chakra. ~ The bracelet is accented by precious little charms of the sea! ~ This listing is for (1) one of our Mermaid Tail bracelets! ~ This is a Mermaid Tail Titanium Quartz Bracelet Our “mermaid tail” bracelet creations are inspired by the Sirens of the Caribbean! We use titanium quartz and a stainless steel hook & eye, hoop bracelet to represent the blue/green of the Caribbean and the shimmer of the sea! ~ Sea foam blue/green titanium quartz crystal (1″ – 1 1/4″ long) glimmer in the summer sun. Titanium Quartz: quartz is infused with titanium and additional metal oxides to form one of the most precious crystals on the planet. 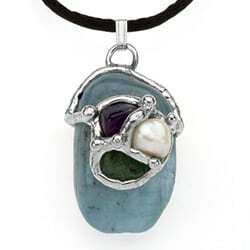 It increases life force and vitality, attuning to the highest attribute of the Heart, Throat and Crown Chakra. It’s rainbow colors have been shown to stimulate the entire aura body! An exceptional stone for creativity. This quartz removes blockages and enhancing the flow of creativity due to its intensely visual colors. It has been used for increasing intuition and therefore an exceptional stone for promoting clairvoyance as well as all forms of “seeing”. 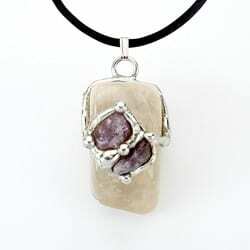 Consider this crystal for assisting in meditation, reiki or a yogic practice. ~ This listing is for (1) one bracelet.